As long as I could remember, I've named inanimate objects. I guess I'm just silly like that. My favorite car was a midnight blue Toyota Celica, and I named her Celeste. I miss her. Sigh. My violin and I have been together now for about two months. It's been an interesting courtship and marriage...we spent a couple weeks getting to know each other before making a commitment. There were times that I thought this could not possibly work, I'm so old...I know nothing about this violin, its history, its likes and dislikes, how to communicate with it. But that all-consuming passion that can no longer be contained within won. We are a "thing" now. I had to find a name for my new love. Something that embodied the spirit of our relationship. Something that speaks of our purpose together. Something fitting and right. And then...a kairos moment, one word spoken and defined, and I knew your name. Tehillah...although it does not sound masculine, as your presence seems to me, the meaning is exactly fitting. It is one of seven Hebrew words for "praise", and a particular type of praise. A new song, "the residual song of the spirit", unrehearsed, spontaneous songs, praise that comes from your spirit, to be attuned to Him and His presence. I've realized that the reason you, my dear Tehillah, are the voice of my soul is because there is a song deep within me that longs to get out, because I was made to praise my Creator. Oh, how I wish we'd met years ago...we could have been singing together for so much longer. But I am thankful we have met, for I now know what is my purpose. I know why I must play, and why we have been brought together. I am also an amateur photographer, and intrynsic is my name on streamzoo, hence the copyright. 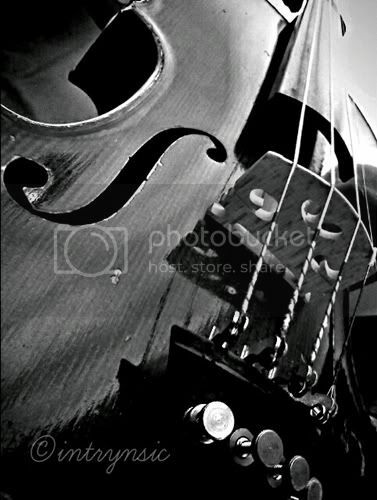 How wonderful that you have found your violin soulmate (: that is priceless!